This book provides research on ependymomas, a rare brain tumor that arises from the ependymal cells of the intra-ventricular central nervous system (CNS) parenchyma with a propensity to affect both children and adults. Ependymomas account for only 1.9% of all primary brain and CNS tumors. Chapter One discusses the prognosis and outcomes in patients with ependymal tumors. Chapter Two investigates the effects of gender, age, race, tumor grade, and treatment on clinical outcomes of ependymoma diagnosed patients. Chapter Three examines survival rates, and prognostic factors. Chapter Four contains a contemporary review of the literature and an evidence-based systematic review about intraspinal ependymomas (ISE). Chapter Five reviews literature on ependymal neoplasms arising in the setting of hereditary tumor syndromes. 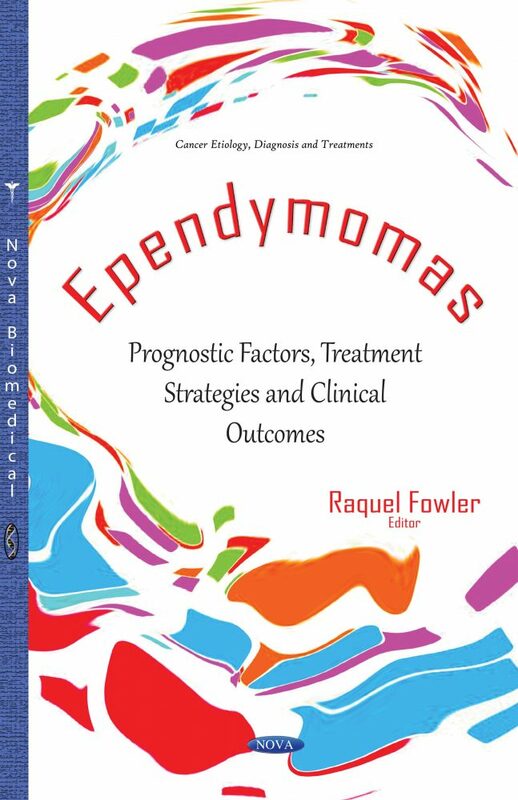 Chapter Six discusses the current management of pediatric ependymomas and examines evolving biological data.